Bernese Mountain Dogs - The Bernese Mountain Dog (also called Berner Sennenhund or Bouvier Bernois) a versatile breed of farm dog originating in the Canton of Berne in Switzerland. 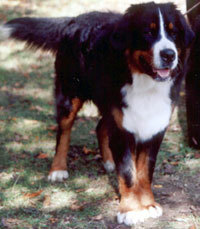 It is often called the "Berner", and is a tri-colored dog of large size. This information is licensed under the GNU Free Documentation License. It uses material from the Bernese Mountain Dog article on Wikipedia.org. Bernese Mountain Dog Breeders - Advertise your kennel puppies and dogs here. 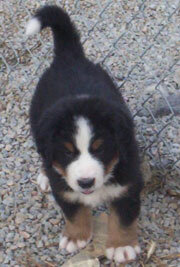 SageKeep Kennel - Montana - SageKeep Bernese Mountain Dog Breeder, offering quality puppies from proven pedigrees. Bear Acres - Kentucky - Bernese Mountain dog puppies fully guaranteed! Our breeding dogs are OFA certified hips, elbows, heart, CERF eye with normal results and Von Willenbran tested to be clear. We guarantee our puppies for up to 5 years! Visitors are welcome anytime.